The new Fixed Water-Based Fire-Fighting Systems will be fitted in the KPE and CTE tunnels by 2022 The investment was listed in this year's Budget, and it is for a Fixed Water-Based Fire-Fighting System in the Kallang-Paya Lebar Expressway (KPE) and Central Expressway (CTE) tunnels. Elaborating on the spending, the Land Transport Authority (LTA) said when the CTE and KPE were built in 1991 and 2007 respectively, they were designed according to the international standards for fire protection measures - known as National Fire Protection Association (NFPA) 502 - at that time. This standard was deemed adequate in effectively dealing with fire emergencies, the LTA said. 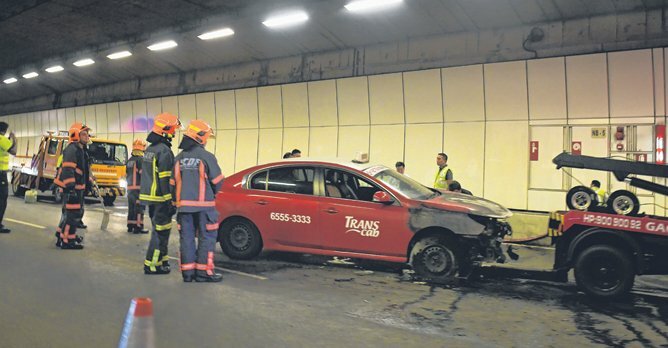 Tunnels in both expressways are equipped with fibre-optic heat detectors, air-monitoring sensors, ventilation fans and fire-fighting equipment, such as fire extinguishers and fire hoses located every 50m in the tunnel to facilitate quick response to any fire emergency, said the LTA. But standards have changed since then. 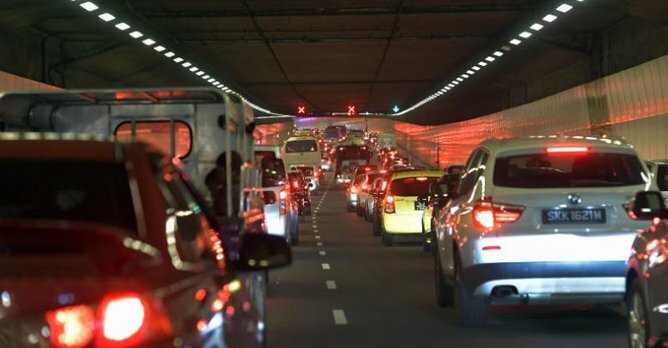 Hence, newer underground roads, such as the Marina Coastal Expressway (MCE) and the Sentosa Gateway Tunnel, are equipped with additional fire suppression systems, in accordance to the latest NFPA 502 standards, which are periodically revised and updated. The LTA said it called a tender to design and implement water-mist fire-fighting systems for the KPE and CTE tunnels in August 2017. Design and installation of the systems began in December that year and are expected to be completed by 2022. The overhead suppression system will span the entire length of the tunnels in both directions. It will dispense the water mist through pipes that are 6m apart. The CTE and KPE tunnels have fire supression systems with international standards that are older than those installed in the MCE tunnel Members of the public interviewed baulked at the move when told. Retiree Eddie Low, 69, said, "It's quite a lot of money to spend on an upgrade. There must be statistics to show us that the risk warrants this investment." Business Consultant Albert Lee, 60, said, "I think it is an unnecessary expenditure as the incidents of fires are quite rare." "In my opinion, it may be better spent on our fire service, which will enhance its ability to tackle both the expressway fires and all other fires," he added. Regional sales manager Heng Hze Howe, 46, said, "Is it money well spent? Could we spend it on improving our fire department, for instance? And will a water-based system be effective against petrol fires or fires from electric vehicles?" Mr. Heng also questioned the reliability of such a system, adding that malfunctions had triggered it in the MCE at least twice in recent years. Nanyang Technological University Senior Research Fellow Gopinath Menon, however, said the investment is worthwhile. "The most dangerous thing in a tunnel is fire," he said. "In my view, the move is necessary and worth the money." Mr. Menon added that water is effective against all kinds of fires. On the evening of 29 August, 2017, a taxi caught fire in the KPE, causing confusion and a somewhat panicky evacuation because of weak communication. The fire was put out by two off-duty emergency responders who happened to be at the scene.